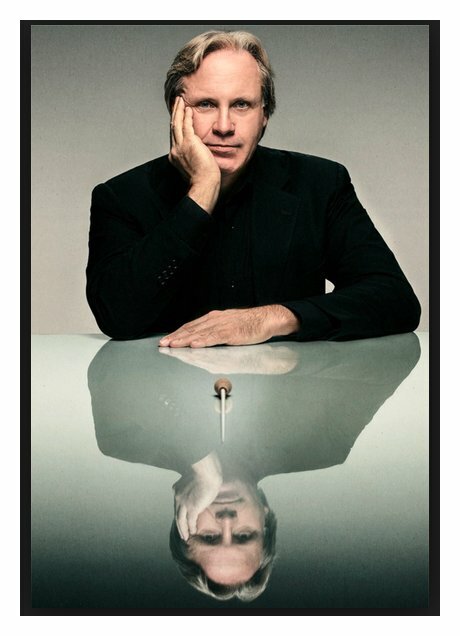 Markus Stenz Interview by Bruce Duffie . . . . . . . . . The German conductor, Markus Stenz, studied at the Hochschule für Musik in Köln bei Volker Wangenheim and had a scholarship in Tanglewood for instruction with Leonard Bernstein and Seiji Ozawa. Stenz directed the Cantiere Internazionale d'Arte in Montepulciano from 1989 to 1995, and was the principal conductor of the London Sinfonietta, the most renowned British ensemble for contemporary music, from 1994 to 1998. In 1998 he was appointed as the artistic director and principal conductor of the Melbourne Symphony Orchestra. After intensive work in Australia and the USA, the sought-after conductor recently concentrated his world-wide activities again on Europe. Stenz was Principal Conductor of the Gürzenich Orchestra (Gürzenich-Kapellmeister) from 2003 to 2014. During his tenure, beginning in October 2005, concerts of the Gürzenich Orchestra are recorded live on their own label "GO live!" and made available within 5 minutes of the end of the concert the same night for purchase by audience members. 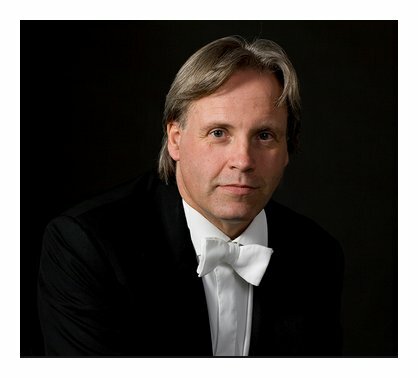 On the concert podiums Markus Stenz led such renowned orchestras as the Concertgebouw Orchestra Amsterdam, Gewandhausorchester Leipzig, Tonhalle Orchester Zürich, Münchner Philharmoniker, Staatskapelle Berlin, Philharmonisches Staatsorchester Hamburg, Bayerischer Rundfunk Symphonieorchester, WDR Sinfonieorchester Köln, NDR Sinfonieorchester Hamburg, Ensemble Modern and Ensemble Intercontemporain. Also in Scandinavia, he conducted major orchestras such as the Royal Stockholm Philharmonic Orchestra, Philharmonischen Orchester Helsinki and Gothenburg Symphony Orchestra. In the USA he worked with the Los Angeles Philharmonic Orchestra, Chicago Symphony Orchestra, Minnesota Orchestra, Houston Symphony Orchestra and Cincinnati Symphony Orchestra. Among the productions, which Markus Stenz conducted as an opera conductor, are Mozart's Don Giovanni for the English National Opera and Le nozze di Figaro in Los Angeles, Gioacchino Rossini's Il Turco in Italia at the Stadttheater Basel, Kurt Weill's Aufstieg und Fall der Stadt Mahagonny at the Staatstheater Stuttgart, Hans Zender's Stephen Climax, Alexander von Zemlinsky's Der Zwerg and Eine florentinische Tragödie at the Théâtre Royal de la Monnaie in Brussels, Igor Stravinsky's The Rake's Progress at the San Francisco Opera, as well as the highly-esteemed production of Wolfgang Rihm's Die Eroberung von Mexiko at the Oper in Frankfurt. In the summer of 2004 he made a successful debut with Leoš Janácek's Jenůfa at the Glyndebourne Festival. After his debut at the Kölner Oper with L.v. Beethoven's Fidelio, he had successes in 2004-2005 season with Richard Strauss' Salome, the Köln's premiere of Detlev Glanert's Scherz, Satire, Ironie und tiefere Bedeutung, as well as Mozart's Idomeneo. In the following season he conducted on Hans Werner Henze's Die Bassariden, Engelbert Humperdinck's Hänsel und Gretel, the premiere of Jan Müller-Wieland's Der Held der westlichen Welt, as well as Wagner's Der Ring des Nibelungen. 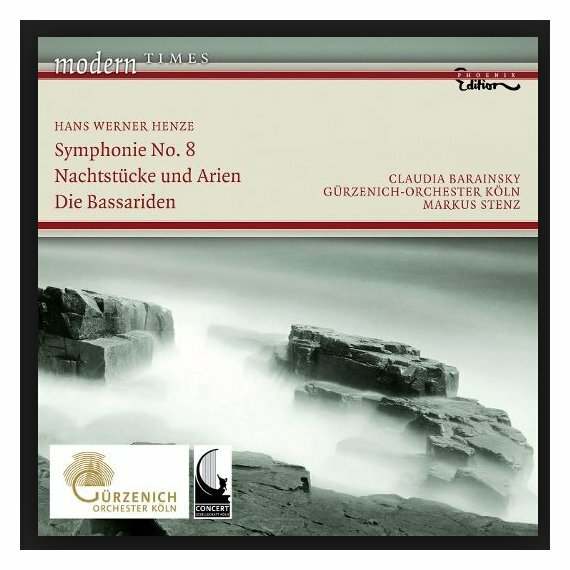 Markus Stenz has a special affinity to the music of Hans Werner Henze. In 1990 he conducted the premiere performance of Das verratene Meer at the Deutschen Oper Berlin and the Italian premiere of this work at the Teatro de La Scala in Milan, as well as the American premiere of at the San Francisco Opera. In 1997 he conducted the premiere performance of Venus und Adonis at the Bayerischen Staatsoper München. In addition came the performances of Die englische Katze (Hebbel-Theater Berlin), Elegie für junge Liebende (La Fenice, Venice) and Die Bassariden (Staatsoper Hamburg). In summer 2003 he conducted at the Salzburg Festival a perfrmance of Henze's L'Upupa und der Triumph der Sohnesliebe with the Wiener Philharmoniker. Stenz made his debut at the Kölner Philharmonie in 1996 with the WDR Sinfonieorchester Köln. In February 2000 he directed a concert of the Melbourne Symphony Orchestra there, in September 2002 the Junge Deutsche Philharmonie. In June 2001 he made his debut with the Gürzenich-Orchester Köln. 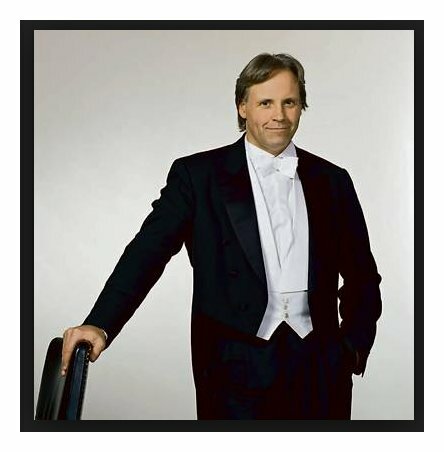 Markus Stenz first came to Chicago in the fall of 1997 to conduct the Chicago Symphony Orchestra. His program included Decoration Day of Charles Ives, the Duet-Concertino for Clarinet and Bassoon with String Orchestra and Harp by Richard Strauss, and the Sympohny #2 by Robert Schumann. He would return to the CSO in 2000 and 2009, and would also appear at Lyric Opera of Chicago in 2009 leading Katya Kavanova. It was on that first visit that I had the chance to speak with him immediately after a matinee performance, and here is what was said that late afternoon . . . . . . . . .
Bruce Duffie: You mentioned that you enjoyed the concert you just conducted. Is it important for the conductor to enjoy his own work? 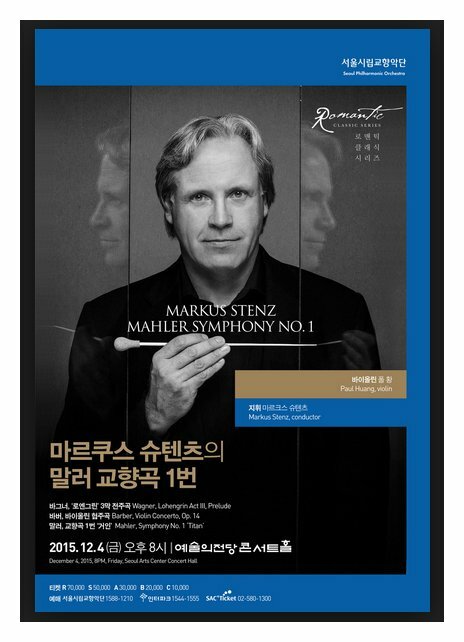 Markus Stenz: It is important for the conductor to enjoy the music making, and to enjoy the composition, and the piece, and the connection to the audience, and the connection to the musicians. Yes. That’s what’s in it for us, isn’t it? I like to make contact with the music, and with the musicians, and with the audience, and that’s what was in place. BD: How much contact are you making with the composer, and how much is contact with the orchestra, and how much is contact with the people behind you? MS: The people behind me create the atmosphere. Their way of listening to a concert is something that one can sense to a great extent, really. It’s very present. You can feel that, and the musicians, the performers, also feel that. That’s why different audiences are different, and that’s why the musical ideas can go different ways on different nights. As to the composer? I don’t want to have the answer come out too much like a psychic, because basically the moment of performing is the moment of harvest of all the research that has been going into looking at the score, and finding out about the piece, and developing a kind of sound world that you want to work for the piece. At the point of performing you have already been through the work with the orchestra, and have established certain things in rehearsal, so hopefully the spirit of the composer is around and is present. But certainly it’s not overshadowing the whole thing, or turning it into a psychic experience. BD: So he’s hovering there a little bit? BD: But he’s not really driving the bus. MS: No, no, I don’t think he is. BD: You say you go back and you research and you discover. How much is discovery, and how much is creation or re-creation? MS: Re-creation is the best word, really. The creative process, obviously, is what happens in the composer’s mind. Then the composer has to find a way to get it onto the paper in front of him. Then the conductor looks at that paper and really tries to re-create the original idea, the original sound, the original concept behind a piece. It’s the conductor’s job to translate that first to the musicians, and then later on in performing to the musicians, and incorporating the audience’s presence. BD: Do you ever get it right? MS: [Laughs] No! One of the most delightful things this week was the Schumann symphony, which is a piece very close to me. With every performance and every orchestra I try to get closer to what I think could be my ideal way of hearing the piece, or closer to what I think is possible with the piece. In these concerts here with the Chicago Symphony we got very, very close to that, but not all questions have been answered. BD: Is it even possible in a whole lifetime to answer all those questions? MS: I would hope not. That’s one more of those things that’s in it for us. BD: Is that perhaps what makes a piece of music great — that you never plumb all of the depths? MS: Yes, that’s a good way of looking at it. I tend to think that what makes a good piece different from a bad piece is that you want to revisit a piece and discover new things. That’s also true for this century. Every minute you spend with a piece can be either rewarding or annoying [laughs], and that, to me, is the borderline between a good and a terrible piece. BD: Hopefully there are more rewards than annoyances. MS: Yes. For the pieces we chose for this week, that’s certainly the case. BD: Without mentioning anything specific, are there pieces that you can get to the bottom of, and then that’s the end and that’s all there is to them? MS: There are pieces that bore me. I’m not a great fan of minimal music. For example, if you look at music of this century, there are certain pieces where the actual composition might be somewhat superficial. Usually though, as a performer I tend to enjoy the moment just as much. Even a superficial piece might have a quality in terms of playfulness, or in being able to improvise at the moment of performing. So I guess my taste is rather eclectic. BD: Does your taste change? BD: Do you find that over years you’ll come back to something that you thought was no good, and it is good? MS: No, I think it rather thins out. You start off with liking a much bigger number of pieces, and then as years go on the taste gets a bit more specific. BD: [With a gentle nudge] You’re not going to get down to where you have just five pieces that you conduct? MS: When I’m 105 years old, maybe. I don’t know. [Laughs] I don’t know what’s going to happen, but certainly the taste does get more specific. BD: You have championed a lot of contemporary music. Is it significant working with the composer in the creation of a piece? MS: Yes, just to see the process! To see the composer at work, or to follow the process of creativity is absolutely miraculous. It does help you to trace the original ideas behind the existing scores of the dead composer’s music. MS: Yes, particularly in Schumann’s case I have to say that the scoring is very idealistic. If anything, Schumann’s Second Symphony for me stands for the principle of idealism. You can always trace the idea behind it. You always can trace the principal musical line and the principal statement on every given page of the score, but sometimes the orchestration blurs that. Sometimes the way he uses the dynamics doesn’t make the principal line stand out as clearly as you might want it to. So being amongst contemporary composers, and seeing how they fight for the best way of notating things, and seeing how they actually do establish principal lines first and then do a little embellishment here or there, just to see how they go about creating a piece makes it easier to look at the existing scores and do the reverse process. BD: When you’re creating a piece, a world premiere, do you ever help the composer by maybe tinkering with the score a little bit? MS: Oh, yes. That’s much more being true to the score than just sticking with whatever is there. It is much more courageous to adjust a score to the necessities of a hall, or the specific location, or the specific ambiance, say, in an opera house, than to just become a religious advocate of what’s on the paper. Ultimately it is the performer’s duty to do that kind of tailoring work. BD: [Playing Devil’s Advocate] Then why don’t you use Mahler’s retouching of the Beethoven symphonies? MS: [Laughs] Because he was a bit radical. I might not agree with Mahler’s version of a Beethoven symphony. 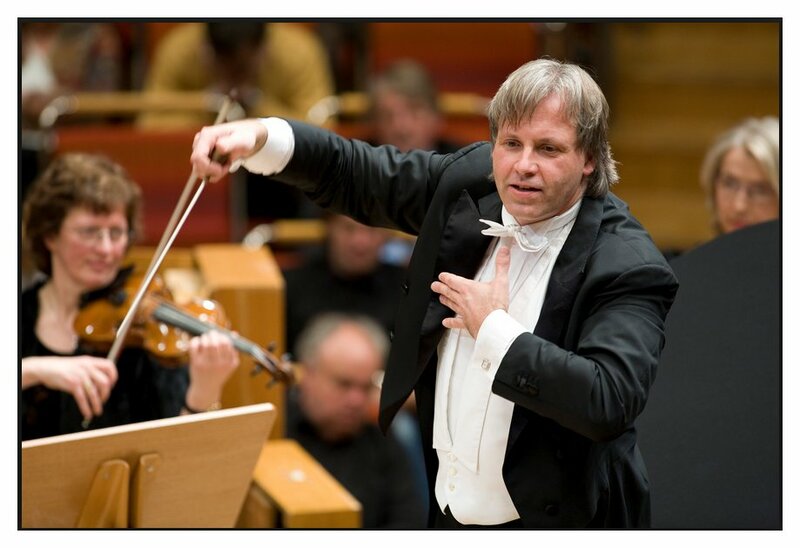 BD: Should we have the Markus Stenz versions of all of these symphonies? MS: Definitely not, because basically my work is not to be done in the limelight. My work is to be done before the audience gets there. I define being true to the score as doing the important adjustments. There is no need for my name to get in the way because basically what I want, my ideal, would be to get the score to speak the way I think it should speak. But then that score is speaking, and the composer is speaking, not me. BD: So you make all of these adjustments at the rehearsals and then get out of the way? MS: That sort of thing, yes. With the Schumann, just to be give a concrete example, I do travel with my own set of parts, and they are very specific. The players will confirm that. The parts are very, very specific in terms of expression, in terms of inner dynamics, in terms of when to step back and when to step forward, when to enhance certain things, when to even articulate them differently from what’s printed in the score. So that is all very specific. But when we are in the moment of performing, that is Schumann. BD: Is all your work done at rehearsal, or do you purposely leave something for that moment of performance? MS: There’s only so much you can do in terms of notating things, and in terms of grasping music in technical terms, such as mezzo piano, mezzo forte, accents like marcato, espressivo, dolce, this kind of thing. So all that you would find in the parts, and anything in addition to that is what happens on the night. BD: You have this particular fondness for the Schumann Second. Do you like to use that as a calling card for each new orchestra? MS: Somehow, it has been a good companion for various crucial moments in my career. I love the piece, and obviously if you get to a new orchestra, you want to perform music that you’re very, very close to. BD: You’re Music Director in a couple of different places, and that’s a completely different thing from guest conducting. But in one place or the other, how do you select from this huge body of music what you’re going to conduct and what you’re going to learn? MS: It has to be a subjective choice. We talked about being close to a score. The closer you are to a score, the more passionate you will be about it, and the more profound your work ultimately will be. So I will be very subjective in the choice of pieces that I myself will be conducting. On the other hand, I hope I can make sure that for the broader repertoire, there are other people who can do it much, much better than I.
BD: Where you are Music Director, do you make sure that you only conduct the things that you like to conduct and then hand off other things to other conductors, or do you occasionally force yourself to do something that you might not have complete sympathy with? MS: Particularly in the field of new music, if we specifically talk about the London Sinfonietta, the mission statement there is to play new music, the music that’s written now, the music that’s just not older than five years or so. From time to time, you just don’t know what to expect from a new commission or from a new piece, but you commit yourself to premiering a piece. There might be some sort of a political correctness going on there, as well. We might have neglected a certain composer for years and years and years and years, but on the other hand, you trust the skill of that composer so you include it in the right context. Although you might not really be able to link very emotionally to the score, you still want to perform it. So that’s what happens with the Sinfonietta. BD: Do you specifically commission things for the Sinfonietta? MS: Oh, yes. For example, this is our thirtieth anniversary season, and there is literally a new piece in every concert. MS: Usually you would outline the direction of the piece. [Pauses to think, then corrects himself] No, that’s not true. Step one is actually asking the composer, “Is there anything that you have been thinking about in the past few years and never realized?” Then we would look into whether we could actually provide the platform for that piece, if that ideal piece would exist. Then step two would be, “Okay, there’s a program, and this and that will be the context. How would you feel about writing a twenty minute piece, maybe featuring this or that soloist? Or if not, do you want a soloist or do you want something else?” Basically it’s a give and take process. BD: At the time of its creation, do you know in any case that a piece is going to become a repertory staple? MS: [Laughs] That has become more and more unpredictable in this time and age because of the variety of music, the variety of styles, the variety of tastes. But I certainly have a good instinct as to what works for me and what doesn’t, and that is the starting point. Then, if I’ve come to like a piece a lot I just hope that many people feel the same way and come back to the piece, revisit the piece. BD: Is it right that we put the pressure on the composer for each piece to be a significant masterwork? MS: I don’t think any general public could put as much pressure on the composer as the composer himself or herself does. So whatever pressure we can come up with, I’m sure that’s going to be topped by the composer’s inner excitement. BD: We’ve kind of been dancing around it, so let me ask the question straight out. What is the purpose of music? MS: Communication. To me, if you want my definition, music is a language that actually can express things that are beyond the reach of words, and therefore as musicians we try to communicate with an audience in that particular language. The composers give us the messages. BD: Do you have any advice for composers who want to write for either the large orchestra or the small orchestra? MS: Yes, bear in mind to use better communication. I don’t like the ivory tower approach of certain composers, claiming that they’re writing the piece for the sake of advancing the art form. Yes, it’s a very valid kind of thing, but ultimately there is no music without a listener as well. BD: You also conduct opera. How do you balance your career between the opera stage and the concert hall? MS: [Laughs] When I’m doing symphonic work I can’t wait to do opera again, and when I’m doing opera I can’t wait to do symphony again. BD: [Surprised] Does that mean you’re always dissatisfied??? MS: Maybe it sounds like that! No, rather than dissatisfied, I’m always in a constant state of looking forward to a change, or something new. BD: What are the joys and sorrows of working with the human voice? MS: A fascinating thing about opera is that so many art forms come together there. However, there are so many elements, so there’s so many possibilities for disaster. Anything can go wrong at any time, and so most of the time opera performances do go wrong, and you won’t get out of an evening what you’d love to hear. But every once in a while there is this glorious evening where everything falls into place, and then opera is just unbeatable and irresistible. BD: Do you find that in the new works being written for the stage as well as those being written for the concert hall? BD: It seems that composers these days are more shying away from stage works that might take a year or two to complete, as opposed to a chamber work or a symphony that they can do in just a few months. MS: Yes, but there are composers out there who are genuinely interested in the art form. There are composers who have deliberately written opera off, and have decided against the art form. But other composers are very, very interested, particularly in the emotional aspects of opera performing, the involvement of human beings, singers, and the involvement of words, messages, texts, and all the certain dramatic sense. It’s so wonderful when everything comes together. BD: Do you ever do opera in concert? MS: I try not to, or if so, then I try to present a concert performance with a sense of drama as well, because obviously the purpose of performing opera has to be to create a theatrical or at least a dramatic event. The concert performance can be highly rewarding in the sense that the attention to musical detail is higher than when you’re actually running and whizzing around every corner of the stage. But the scenario would have to be one where the sense of drama comes through. BD: Let me ask the Capriccio question, then. Where is the balance between the music and the drama? MS: Very much by what the composer defines. It’s wrong at times nowadays where producers and opera directors just use up a piece and take it away from the original idea. After all, it is the composer’s score, so the musical element is what drives and sets the pace for the sequence of events on that evening, and that should always be respected. MS: No. [Laughs] No, it isn’t, and there are lots of battles going on, most of the time, really. BD: Does this influence your choice of stage director when you have the ability to choose? MS: If I have a say in this, yes, it does. BD: When you don’t have the ability to choose, does it influence your acceptance or declining of the engagement? MS: It affects my well-being to a great deal. Just imagine getting up every day for six weeks rehearsal period knowing that there’s another day with violation of intrinsic ideas of the scores. It doesn’t do miracles to your health. BD: Are you part athlete? MS: No, never have been. BD: You don’t need to be to stand up and wave your arms for a couple of hours? MS: People hold that conductors get so old because they get their exercise every day. So I don’t know, but that doesn’t change my attitude. I love sports, but it never occurred to me that the conducting activity has to do anything with dancing or with being athletic. It’s an art in itself. Is it a physical art? Yes. You express what you want to express through your physical means — through your body, through your arms, through your eyes — but there is no sportive element there. That’s why conductors aged eighty or eighty-five just can sit there on that chair and conduct an orchestra, and come up with a miraculous concert without moving the stick more than two inches. BD: Is that something you’re looking forward to — being that age and doing that? MS: Yes. I love the fact that all experience shows that conductors can peak rather late. Once again it is different from sports. At my age, in sports I would have been passed my peak, and I can reasonably accept a peak twenty or thirty years from now. BD: You don’t want to peak too soon? MS: No, but I want to grow. BD: You don’t want to peak and then stay at that peak for a long time? MS: No, because with every artist there has to be this element of growth. So if there is a further element of growth, what you experience as a peak is not a peak. What might feel like a peak at the time, in hindsight is only a step forward. BD: Is the music that you conduct for everyone? MS: You mean in this program? MS: No, we all have our individual tastes, and that’s a very good thing. Music is universal and very versatile, and it’s for everybody to make their own choice. So it is not for everybody, no. MS: Yes, I am. We are bombarded with images, and the visual aspect of today’s world is almost an overkill of images. Eventually the visual sense will wear off, and it’ll shift a bit towards the other senses as well. That’s when the ear comes into play again. BD: So perhaps, then, this is the ideal thing for a tired businessman after beating his brains out all day? MS: [Laughs] Yes, why not? It’s amazing how neglected the aural sense, the acoustic sense, is in these days. That really strikes me, but it doesn’t make me worried, because it’s such a fundamentally human quality to be able to listen. Music is just the perfect language to listen to, therefore it’ll always be there. There’s always going to be creative minds to come up with new compositions and a new way of presenting music, and there’s always going to be talented musicians who can really mesmerize people just through the sound they’re making. I am very optimistic. MS: [Laughs] No pre-concepts, please! Forget about the thought that you have to know anything about classical music in order to enjoy a concert. Be open. Check it out. BD: Do you have any advice for younger conductors coming along? MS: Be open. [Laughs] Listen. Open your ears. What many people don’t realize is that conducting is not a visual art. 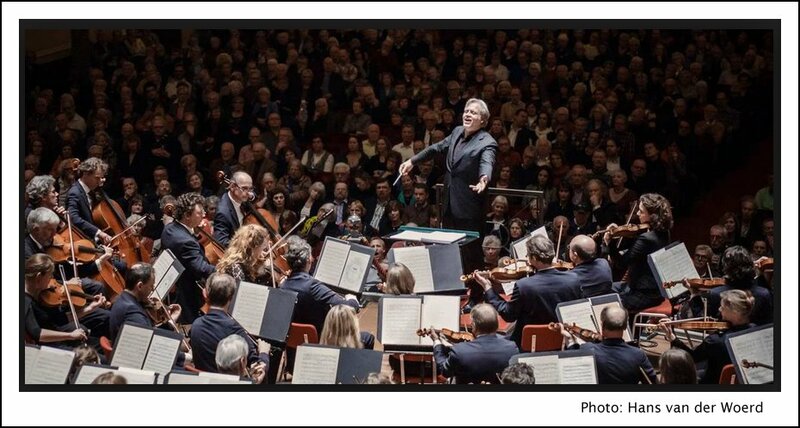 Conducting is driven by the ear, so young conductors should develop their inner ear, their inner imagination, and then their body will do what needs to be done. BD: It’s not driven by the mind? MS: That’s number two on the list. It’s first the ear and then the mind. Obviously the mind has to have the intelligence and the depth to process whatever the ear comes up with, but it’s a combination of things and primarily it has to be the ear. It has to be the sensitivity that drives you. BD: One other organ — where is the heart in this process? MS: Well, that’s above all. [Laughs] The heart is part of the human integrity. If you want an orchestra to trust you, you have to have a certain degree of integrity. You will always find that with the great conductors. They had human integrity. They are personalities, and they wouldn’t be these kinds of personalities if they were incomplete human beings. You can’t be just an idiot who knows how to do one specific thing in life, and then expect to embrace a whole orchestra. That’s impossible. So yes, the heart is what anchors you as a human being, and then the ear is the more specific quality. BD: [Noting that his is just in his early thirties] Are you at the point in your career that you want to be at this age? MS: I suppose so, but that’s for other people to say. MS: Yes, enormous fun. It’s the ultimate pleasure in life. BD: I hope you will come back in Chicago. BD: Thank you so very much for speaking with me. MS: You’re very welcome. That was fun! Got me going. This conversation was recorded in the newly-renovated office suite of the Chicago Symphony Orchestra on November 10, 1997. Portions were broadcast on WNIB on three separate occasions during the year 2000. This transcription was made in 2016, and posted on this website at that time.